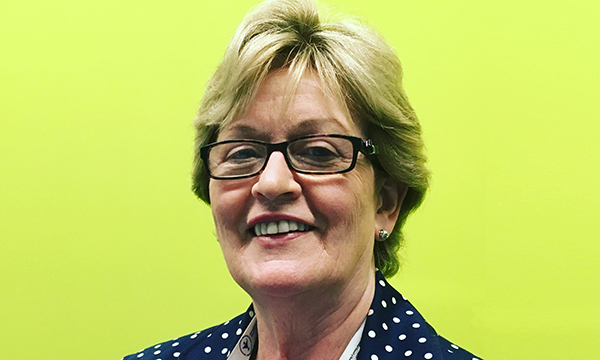 We need to get more nurses out into the community working with children, if we are to combat the rise in long-term conditions like type 2 diabetes in adulthood,, a global nursing leader said. And with a predicted shortage of nine million nurses globally by 2030, there needs to be change, she said. Ms Kennedy said: ‘Investing in healthcare is important. If you have healthy patients then health is an investment for the economy. The added value of nursing is health promotion and disease prevention. ‘But what are we doing all over the world? Investing in hospitals. Well, it is too late when you get to hospital. We should be investing in health promotion and primary care. A total of 70% of all deaths are from chronic diseases and 80% of those are either preventable or can’t be found out until much later. ‘We are getting more obese, we are eating more as well as smoking and drinking, which together are all the things ending in chronic diseases – we need to exercise more. We all have a role to play in not doing these things, but it starts with nurses. Ms Kennedy, former director of professional development for the Irish Nurses and Midwives Organisation, also spoke of the need to encourage more nurses into the profession, and to retain those already working to continue practising in their home countries. ‘Nurses left Ireland because we couldn't afford to pay them. Now we can afford to pay them they are not coming back. ‘It is recognised that when you have good staffing levels, when nurses are looked after, you will have lower mortality and lower morbidity rates. ‘There is a perception that the only people who save lives are doctors. Nurses save lives too, and isn’t it time we started talking about what we do?’ she added.